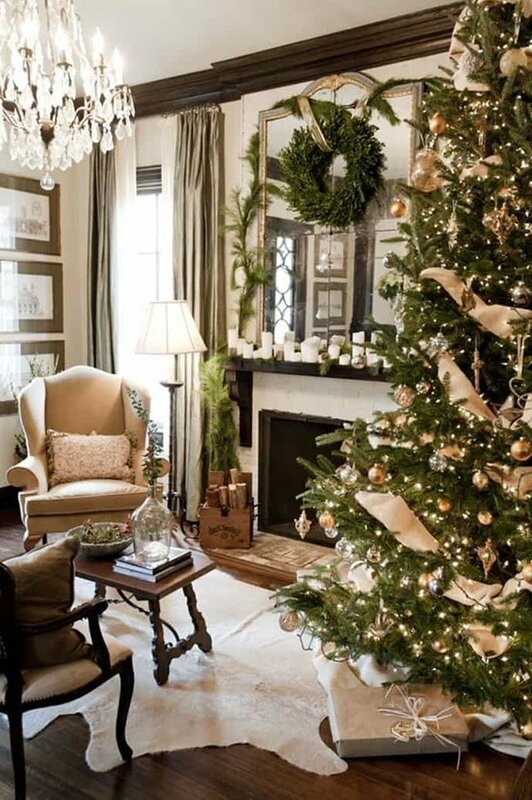 Holiday season is just around the corner and it is impossible to resist the holiday spirit! 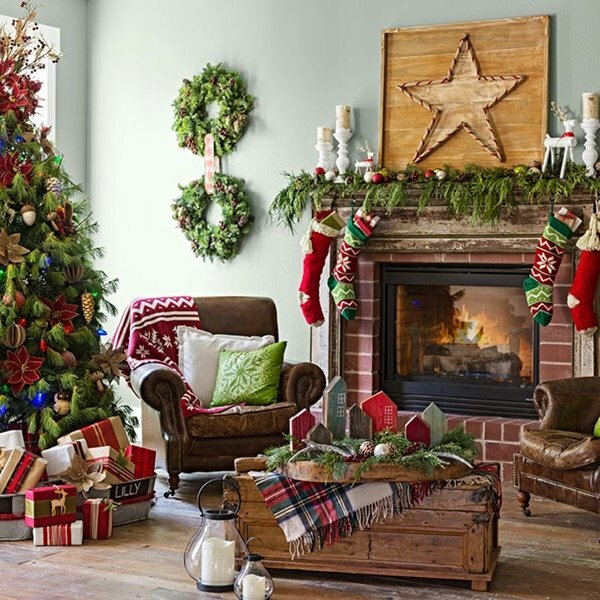 Everyone loves Christmas decorations, and if you are looking for some new and simple ideas for different spaces in your home, you will find plenty here. 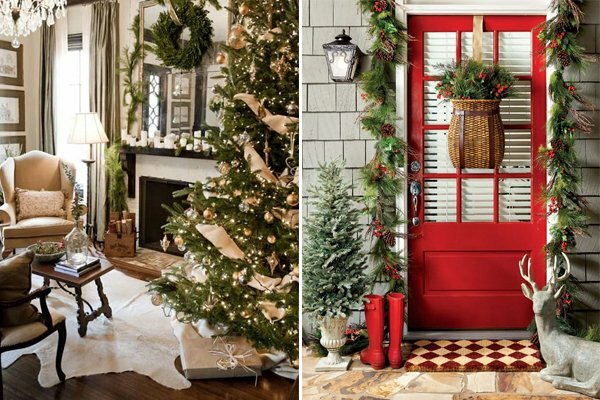 Even though Christmas tree is considered to be the number one item on the decoration list, let’s just think out of the box and start with your entryway to create a warm welcome. 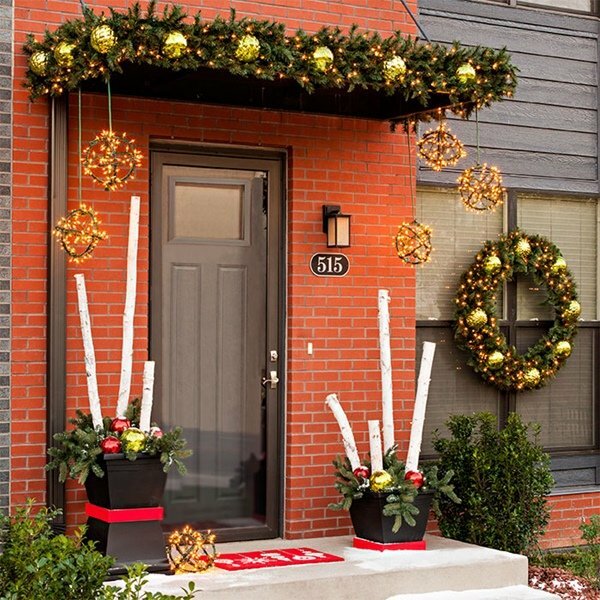 You can fit some plants on your porch, and opt for a big wreath for your front door. 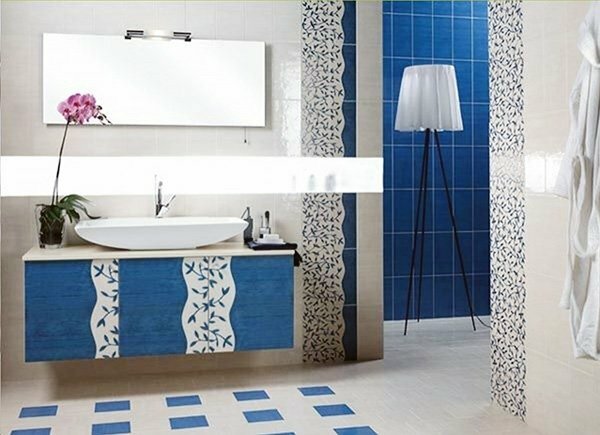 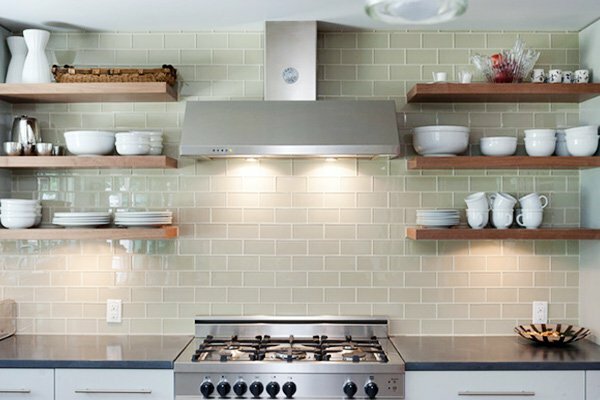 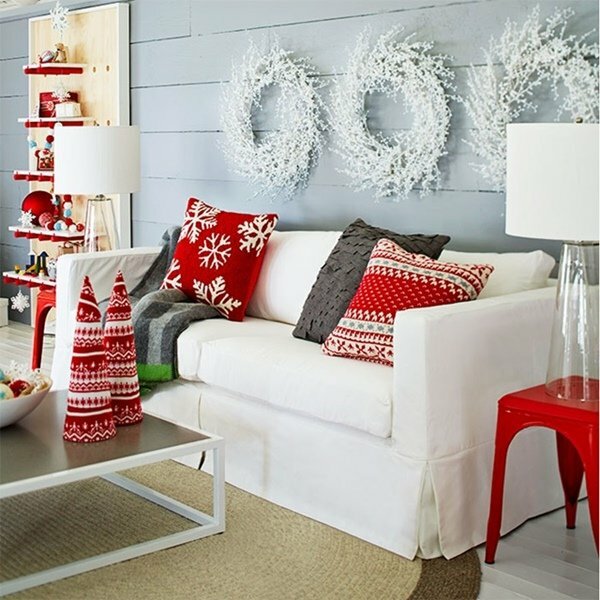 You can also choose smaller embellishments with a touch of frosted white elements that create a stylish and modern look. 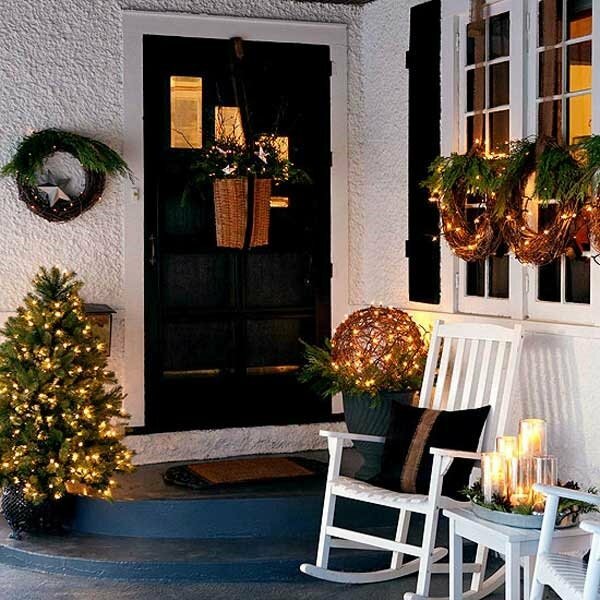 Keep on decking and move to the stairs. 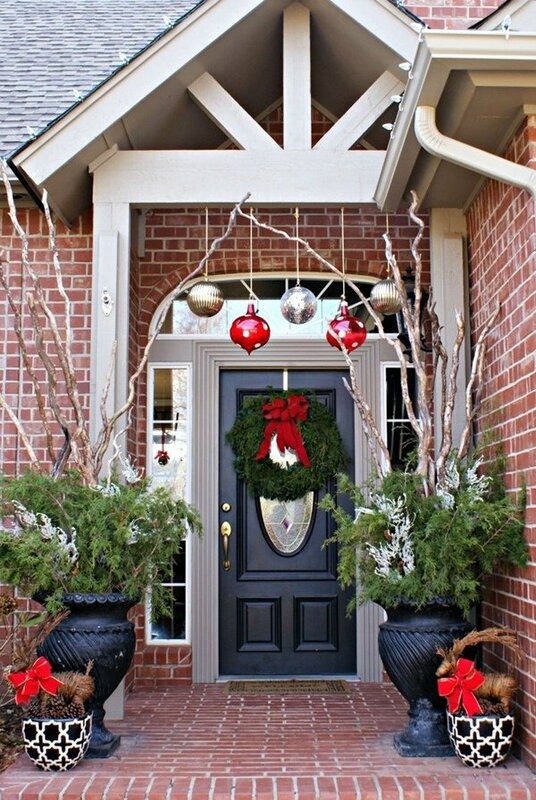 Christmas lights wrapped around Christmas swags create wonders! 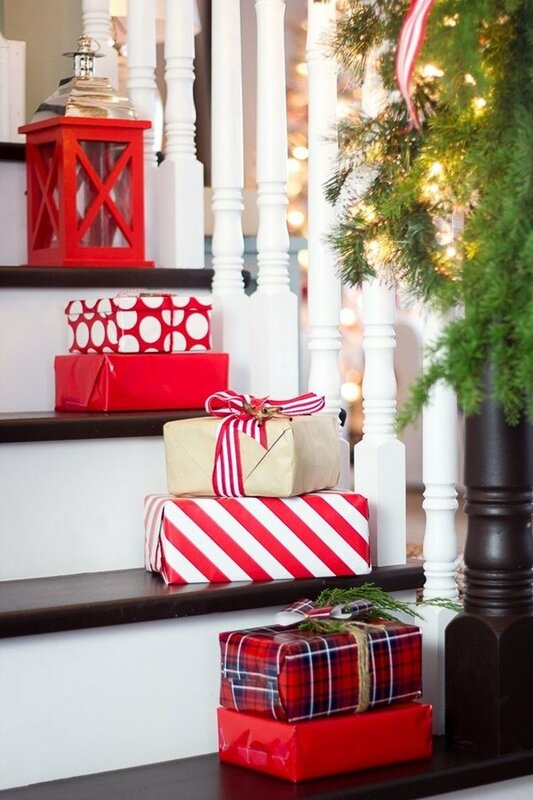 You can also place the presents on the staircase to create a fresh, fun, and chic look. 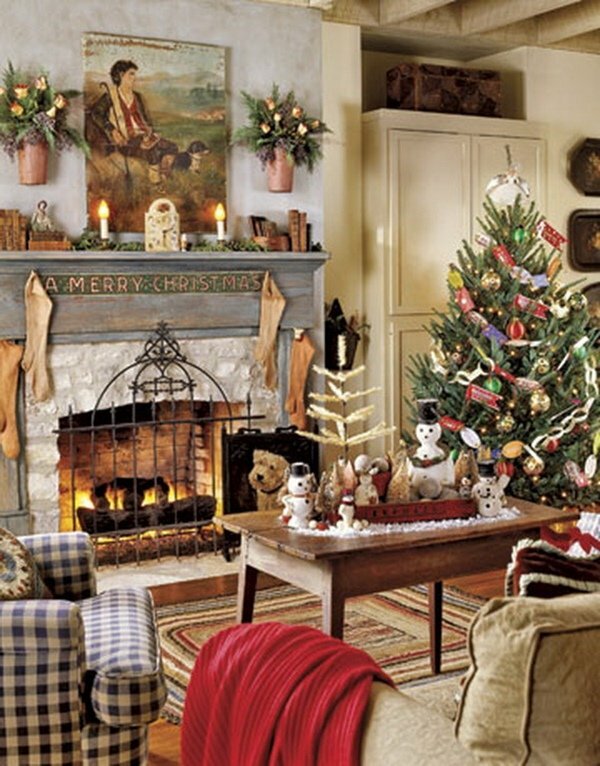 Try not to go overboard as there are still so many spaces to decorate. 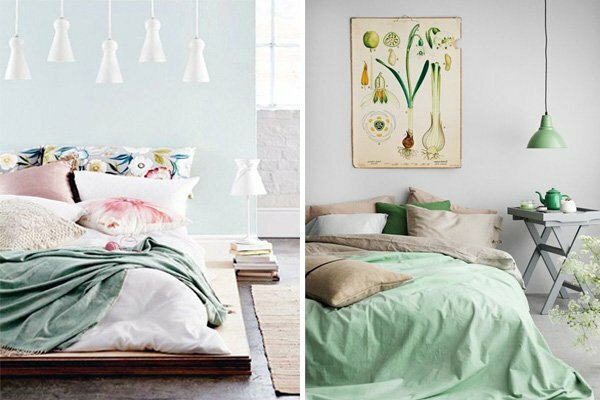 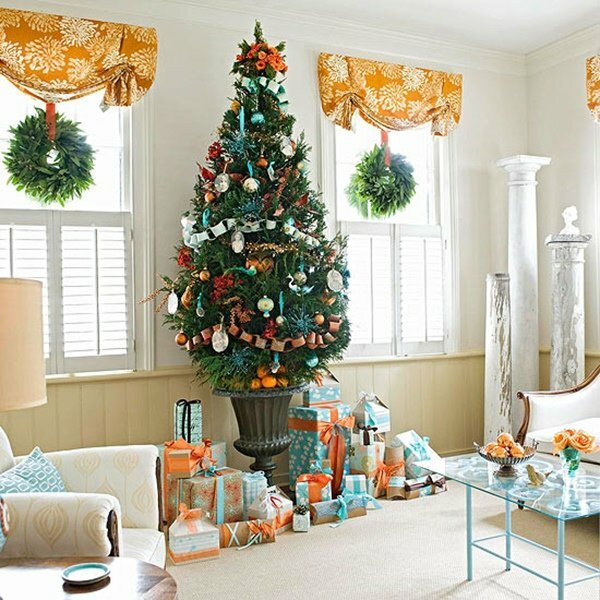 And for the most important part of the house, your living room, decorate with existing color scheme you have in your room. 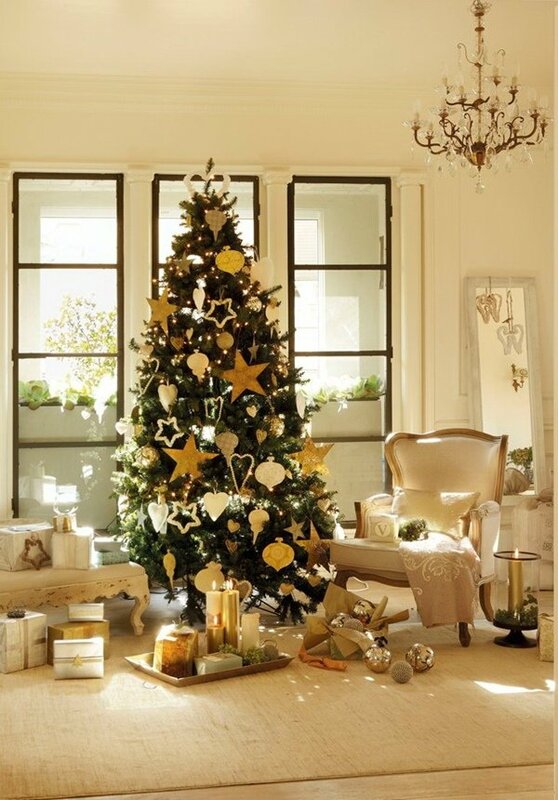 Decorate your Christmas tree with golden ribbons for an elegant look, and wrap some tinsels around if you wish. 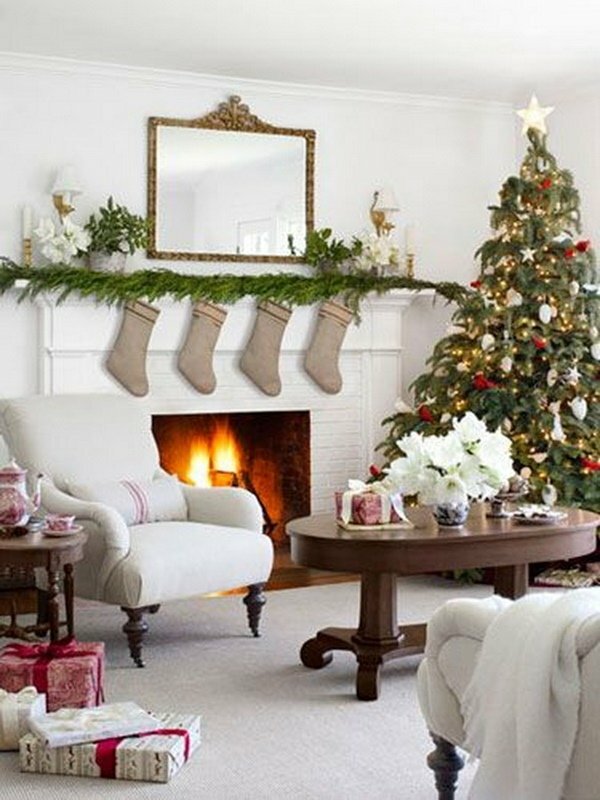 If you have a fireplace, hang up some stockings and do not forget to add some decorative Christmas lighting as well. 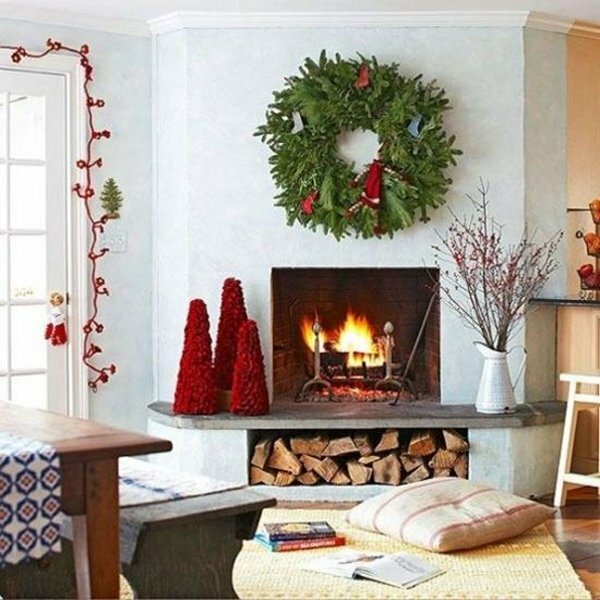 Try not to overwhelm the room with too many Christmas decorations, instead, opt for lighter colors and a few accessories like a bag of pinecones on the table or next to the tree, for example. 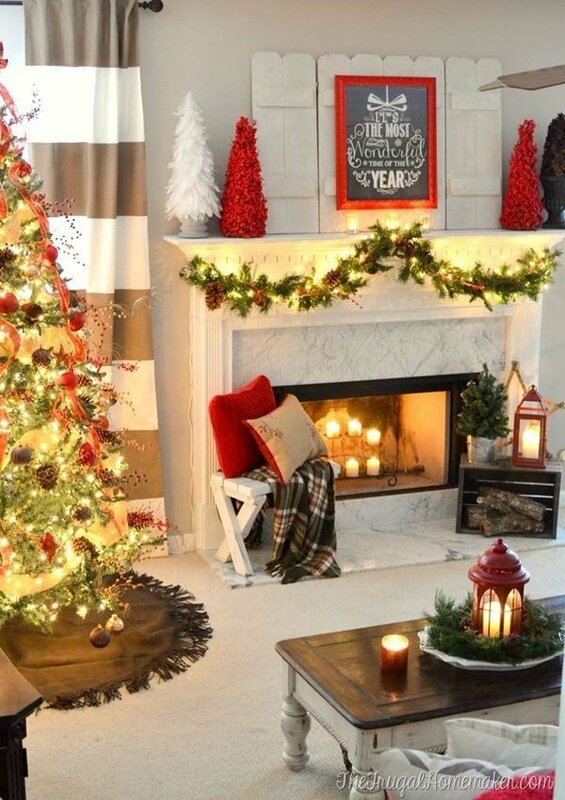 You can also add a touch of holiday spirit by adding some colorful and Christmas-themed pillows and throw blankets. 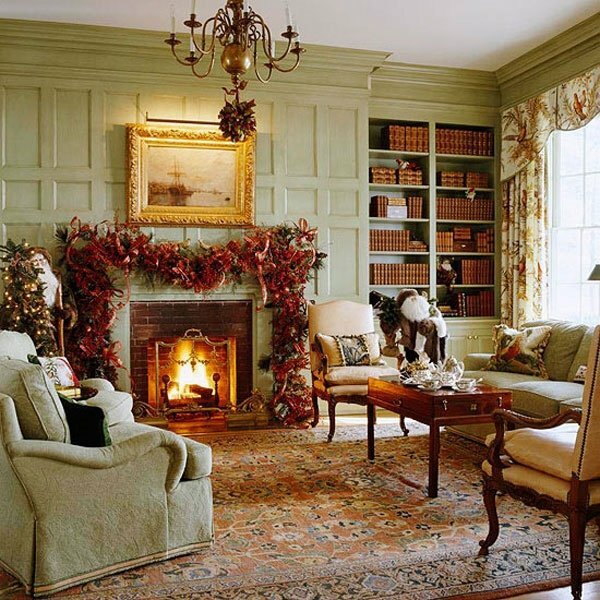 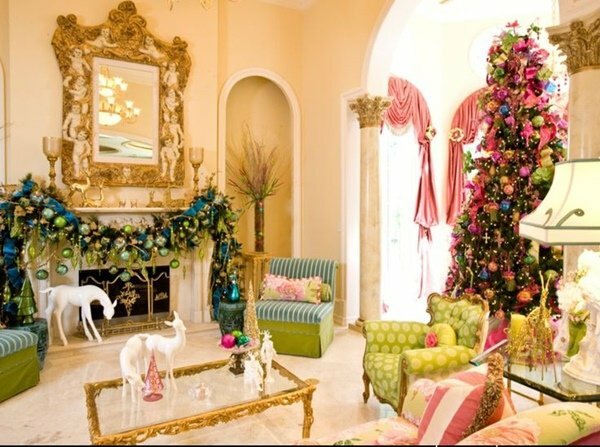 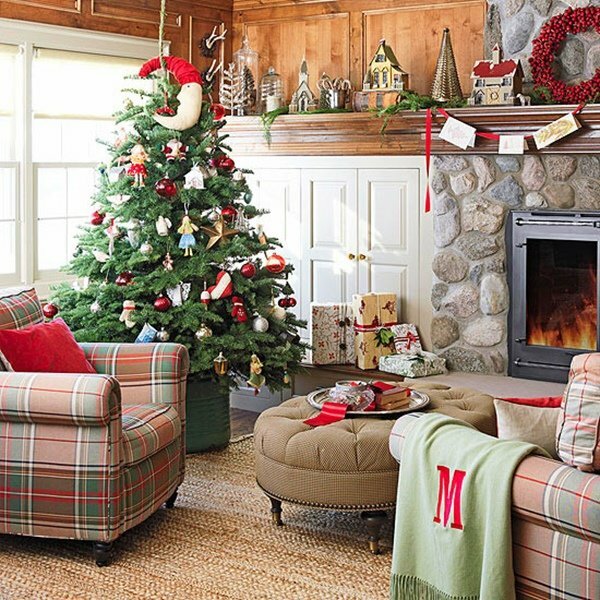 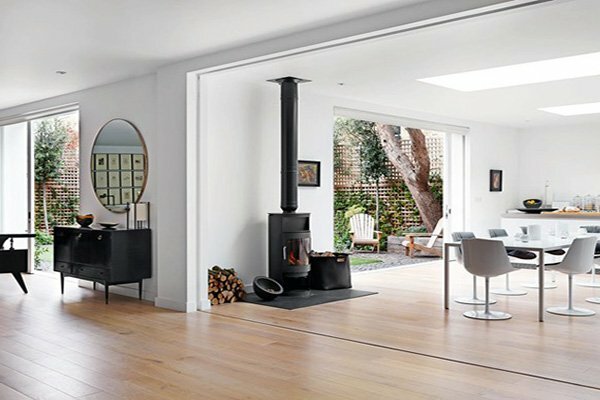 There are numerous living room styles for Christmas, and you can choose from Scandinavian style with light and simple touches, a traditional sturdiness, a fresh touch (for example using wreaths on the living room walls), a white theme, a colorful theme, Christmas decorations with rustic themes and many more. 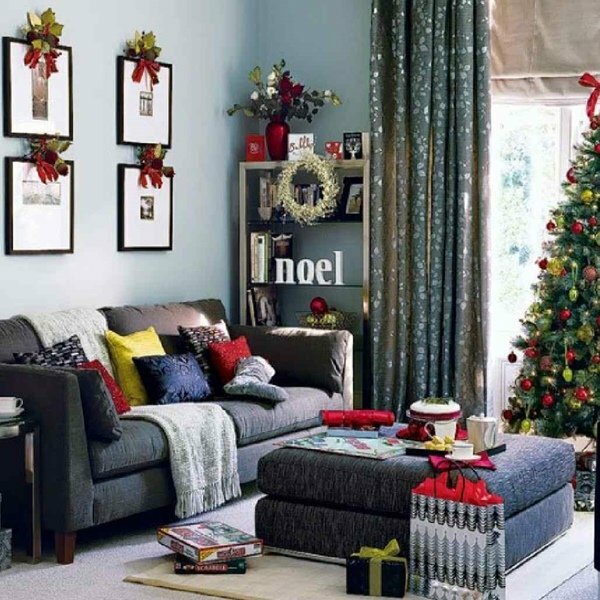 Try to choose according to your existing style and colors, and take a look at these amazing ideas below to get some inspiration and get into the holiday spirit! 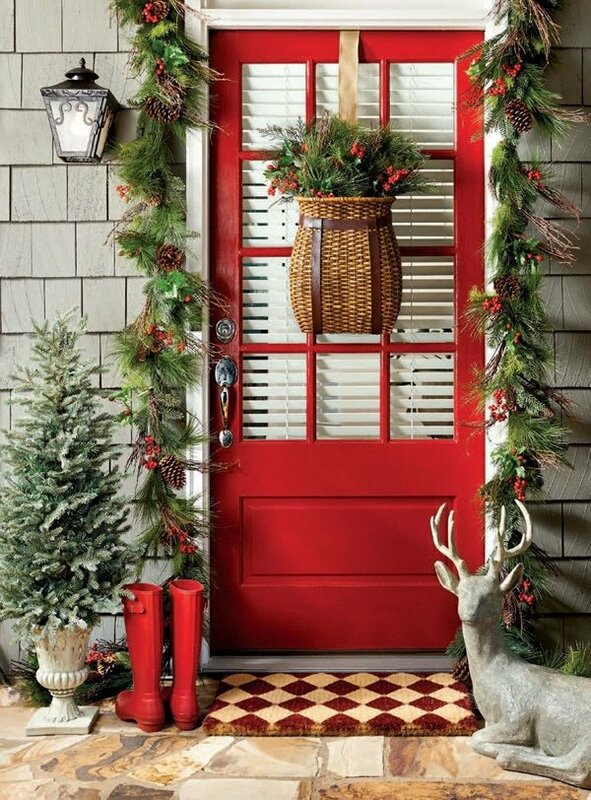 Happy holidays!